Could this 16-lens 360 camera be the future of live television? If there are two trends in video right now, they are 360 and live broadcasts — one camera is looking to not only do both, but to do them with quite a bit of flair. 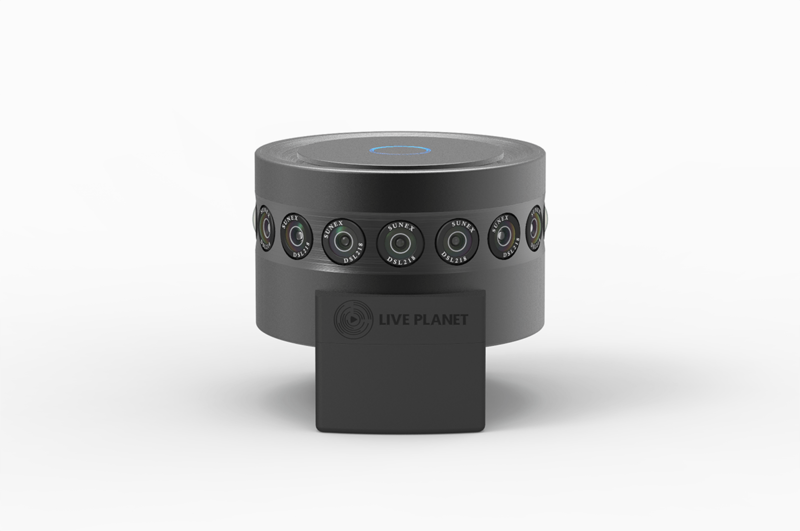 The Live Planet camera claims to be the industry’s first all-in-one 360 live broadcast system that’s capable of high-resolution video. The camera also boasts 4K resolution and 16 lenses. The challenge with 360 video is that it either needs to come from a single lens with an optical amplifier, which means lower quality, or it needs to be pieced together from multiple lenses into one complete video. That stitching is what makes live-streaming so challenging for 360 camera designers. The Live Planet camera has built-in stitching software that combines footage from the 16 synchronized sensors, then broadcasts live. The manufacturer, Reality Labs Network, says the camera is ready to go live in fifteen minutes — and that includes registering on the camera’s cloud platform. The camera captures 360 video from all 16 synchronized lenses, then sends it to the cloud-based Live Planet platform to prepare and transcode. From the cloud, it can be sent live to all major 360 viewing platforms. That’s a lot of work for a little 1.5 pound device, and there’s a fan built in to keep the system from overheating. Along with broadcasting 4K live at 30 fps, the camera can up the frame rate when saving video to the half-terabyte built-in storage to an impressive 60 fps. Currently, broadcasting 360 live means using a smaller consumer camera with an app like the 360Fly 4K or Giroptic, or adding additional networking and stitching hardware to do all the heavy lifting. While there are plenty of rumors of more companies working on live 360 tech, Live Planet could very well be the first that does so with an all-in-one system on a professional level. The Live Planet was designed by a team led by Hasley Major, the founder of CNET and Salesforce. The company’s goal? To replace traditional television with immersive 360, starting with the equipment needed to create it. That will come at a higher cost though — the camera will retail for nearly $10,000, with the first 500 pre-orders discounted to half that price.